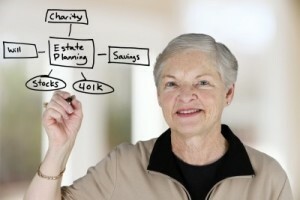 You may not take estate planning especially seriously if you are not aware of the facts. Some people figure that they can simply create a last will when they are old and gray, and that is the long and short of it. Indeed, studies are conducted periodically, and they consistently find that most people have not executed the appropriate estate planning documents. In this blog post, we will endeavor to provide some food for thought, and hopefully, you will recognize the need to take action if you are currently unprepared. If you are in possession of a considerable store of resources, estate taxes could significantly impact the legacy that you want to leave behind to your loved ones. There is a federal estate tax, and it is applicable on asset transfers that exceed $5.43 million. The tax carries a 40 percent maximum rate. There are a number of states in the union that impose state-level estate taxes. We practice in Connecticut, and Connecticut is one of these states. The Connecticut state estate tax exclusion is $2 million, so you could be exposed to the estate tax on the state level even if you are exempt on the federal level. Tax efficiency strategies can be implemented if you are facing exposure, but if you do nothing, your family will simply be forced to pay the price. Many elders become unable to make sound decisions due to incapacity. The state could ultimately appoint a guardian to act on your behalf if you take no steps to name your own decision-makers. You could prevent a guardianship through the execution of documents called durable powers of attorney. With these incapacity planning tools, you name representatives to act on your behalf in the event of your incapacitation. If you hold on to your property until the time of your death and arrange for its transfer through a last will, probate will be a factor. The probate court will supervise the administration of the estate, and inheritances will not be distributed until after the court closes the estate. This can take close to a year, even if the case is uncomplicated. You can make sure that your loved ones receive their inheritances in a timely manner if you create a revocable living trust. After your passing, the trustee would follow instructions that you leave behind in the trust agreement. Assets would be distributed to the heirs in accordance with your wishes, and probate would not be a factor. We have just scratched the surface in this blog post. If you would like to obtain some additional information about the importance of estate planning, download our special report. The report is free, and you can visit this page to access your copy: Hartford CT Estate Planning.